Makoto Shinkai has had an interesting year, to put it lightly: Your Name (two years in the making) was released in Japan, first as a novel in June, then as a full anime feature film the following month, to massive fanfares. Within 28 days of release it became the first non-Ghibli and non-series anime movie to earn over 10 billion yen at the box office. At the time of writing it’s now not only the 4th highest grossest anime film and 7th highest-grossing film of all time in Japan, it’s also been #1 at the Japanese box office for nine consecutive weeks. A huge achievement, to say the least, considering Mr Shinkai started his career making short films and doing everything himself from the animation to the voice acting. No wonder he’s been hailed as the ‘next Miyazaki’ (a title he’s shied away from, as he is a massive fan of Hayao Miyazaki’s work) and his film became the very first anime film to be part of the Best Film Award competition at BFI’s London Film Festival, which took place between 5th – 16th October. 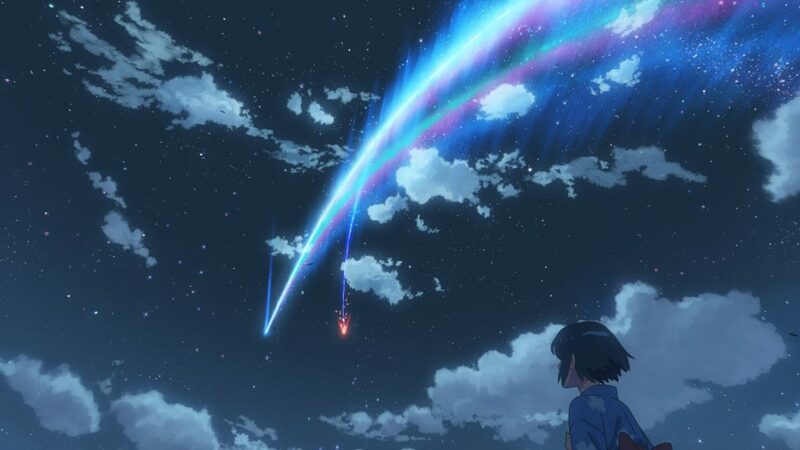 Before the UK premiere screening of his box office hit, Your Name (all three BFI screenings very quickly sold out), Makoto Shinkai took some time to answer some questions about his latest movie, its success and how it all came together. We’ve been following your work since the beginning where you were mostly working on them by yourself and it seems all your work has been leading up to Your Name – did you ever expect to create a movie as successful as this? I never expected this! It’s been 14 years since I started making animation films and what I always had in mind is that I wanted more people to see my movies every time, more people than the last one. I also wanted them to think that they had a really good time and enjoyed the movie. So, in a way Your Name is a dream come true for me, but the scale is so massive that I’m totally overwhelmed and I’m not really comfortable about it. The film seems to be designed to appeal to a very wide audience; does that mean it is less ‘personal’ to you compared to your previous work? This is something I really wanted to make. I collaborated with various other talented people: Masayohi Tanaka, the character designer, and Masashi Ando, the animator (who used to work with Studio Ghibli) was like [a] really amazing combination; they just gave so much depth to my work. Also, the music by Radwimps; they just gave loads of colours to the film I think, made it more catchy in a way. So being able to work with various talents was just amazing; it was my first time doing that scale of collaboration, and I owe that to them. Having saying that, the film is still 100% mine and very personal. You mentioned working with Radwimps; can you tell us more about that? It was 18 months of collaboration and they had never done a movie soundtrack before. [In the movie] we’ve got 4 vocal songs and 22 music tracks. I gave the first draft of my script and I told them to write anything. So they came back with the songs; when they played them I changed my script accordingly here and there. Then I carried on writing my script; I would ask them; “I’ve got this scene; can you change this and that?” so I did that for about 18 months. It was a long process but really worth it. When we started working on it, the band said to me “We won’t let you down!” And I thought, yeah, I really want to work with them. It’s been reported that the producer, Genki Kamura had some influence in the creation of the story – what were the biggest changes that the story went through during development? We had script meetings for 6 months with Genki and the team. I did the script myself but every month I would meet up with them and we’d talk about it. So we would discuss whether a scene was boring or too complicated. I’d then update everything and then meet up again in 4 weeks’ time. Genki gave me some really good suggestions and a fresh perspective about the structure of the film. [For example] the film started in Itomori where Mitsuha (the female protagonist) lives and Genki suggested that we keep it within 15 minutes; any longer and it would be boring and I said that’s [a] good idea. Also we’ve got several climaxes in the movie: two main scenes are when the leads meet years previously and again [in present day]. Genki suggested they have to be in the same frame, to come one after another, whereas on my original script it was separate. So, he had really good suggestions for me. The ‘body switching’ trope is mostly used for comedy and the lesson at the end is to understand each other better by ‘walking in each other’s shoes’. However, you created a film that not only avoided the old jokes but also created something fresh from it, made it feel more authentic and relatable. Was that something you originally strived for when writing it or did it just come out naturally during the process? I wanted to describe those exciting emotions you have as a teenager. The main theme here is these two people have met, and then meet again at the end. But the ‘body swap’ isn’t the main element of the film, they could have met through social media, it was just a prop I used, it didn’t have to be via the body swap. In the movie, building into the last act of the movie there’s a scene where Taki (the male protagonist) drinks sake in a cave and then it enters an elaborate fantasy sequence. It’s a beautiful scene – can you talk about how that was created? That scene was actually directed by Yoshitoshi Shinomiya, a classical Japanese painter. He’s got a different perspective of colours and I wanted that scene to be different from everything else [in the film]. I did the storyboard but the actual art direction was done by him. The sequence is only two minutes and I originally wanted to make it like a vague, fantasy scene because the film is kinda tense so I just wanted the audience to feel a bit relaxed. But Mr Shinomiya made it more powerful and tighter, I didn’t expect the end result but it’s really, really good. You also wrote the novel that the film is based upon; is there any part of the book that you were unable to get across in the movie but wish you could? The answer is no; I wrote the original script and while I was making the movie I got to write the book, so the book came after. I finished the book and it came out before I filmed, so no scenes [were left out]. I re-wrote the script via the first-person perspective so it gave me more depth about each character and that really helped me with directing the voice actors because I knew more about the characters than when I wrote the actual script. Watching the movie, it’s very clear it’s a ‘Makoto Shinkai’ feature – it’s got all your elements – but one thing has clearly changed; you’ve turned down the melancholy in the film. Why is that? When I started working on this movie, the one important thing I wanted was the audience to leave the cinema with a smile on their face and I also wanted to put some comedy elements into my script, that was the first time I did it. I wanted to put every emotion – happiness, sadness, melancholy – everything [into this movie] and two years ago when I started, I was confident that I could do it. I probably wouldn’t have before, but I knew that I could do different emotions with this one. How do you balance what you want to achieve as a storyteller with the growing commercial pressures that have come with the success of Your Name? I actually get asked that by various media and random people. I worked on a big budget and with Toho [for Your Name] but I get asked whether it was difficult or if I had my creative freedom restricted but actually, no, they don’t tell me what to do at all. Sometimes I didn’t know what to do, I’d say I want to do this, or that, and ask which is better? Toho would help and say,“actually this works better.” I think that’s pretty much all, they never told me to change things, there was no compromise, so I feel I was able to do more while working with Toho than I did before, because I had the budget and they gave me total freedom. After the success of Your Name, you’ve probably been asked the same questions over and over again! Is there anything you haven’t been asked yet but wish they would? Probably the comet scene; it’s a long sequence, the song used in it is called ‘Sparkle’ and the middle 8 is a minute. Normally one cut in animation is about 4 to 6 seconds but in the movie, we’ve got 3 cuts. I was worried about what people would think but actually no one’s commented on it so I assume it’s all okay! Due to the broad appeal of this movie, you’re likely going to get many people including non-anime fans checking out your movie and wondering what to watch next; what would you recommend out of your films that they check out? That’s a difficult question (laughs). I would imagine people, the general public, would be aware of Miyazaki’s work? [In regards to my films] Garden of Words, probably? I don’t like to talk about my old movies because I always feel that there are things that I could have done better or differently so I get embarrassed about them (laughs). But I know fans like my work and I don’t want to say anything negative. 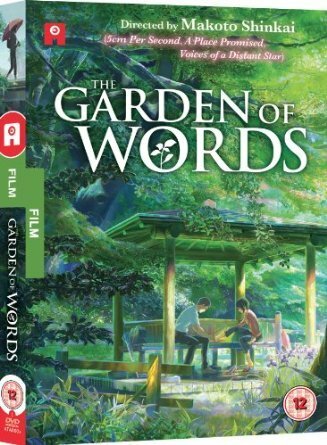 So, I think Garden of Words because it’s short, but easy to watch for non-anime fans to enjoy. Thanks to Fetch media for the interview opportunity. Your Name comes to select UK cinemas on 18th November and nationwide from 24th November. To find out where it’s screening near you and to purchase tickets go here.